Peter Rabbit is hopping in centre for crafts and fun! 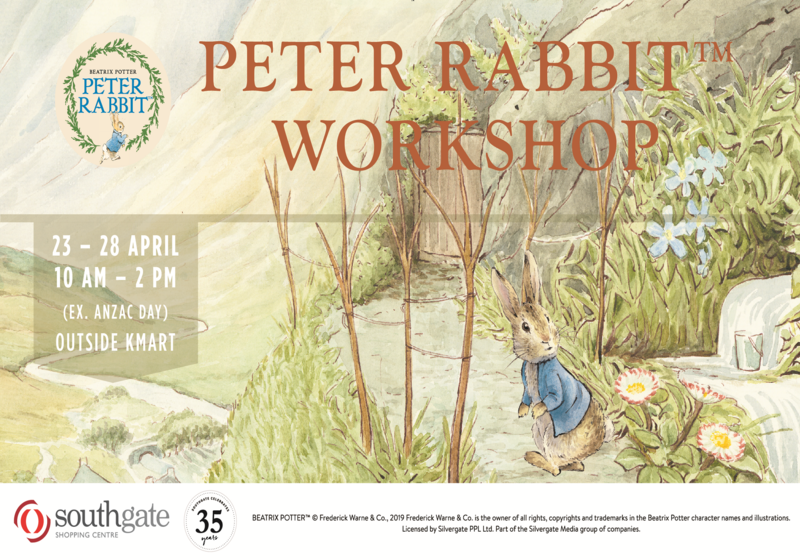 Join Peter Rabbit this school holiday! Bring the kids in centre for craft activities and meet our favourite furry friend Peter Rabbit from April 23rd-28th (excluding Anzac Day) 10am-2pm.